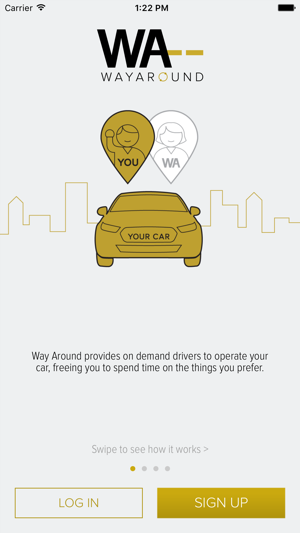 Way Around provides you with on-demand access to qualified drivers for you AND your car, freeing you to spend time on the things you’d prefer to. 2. 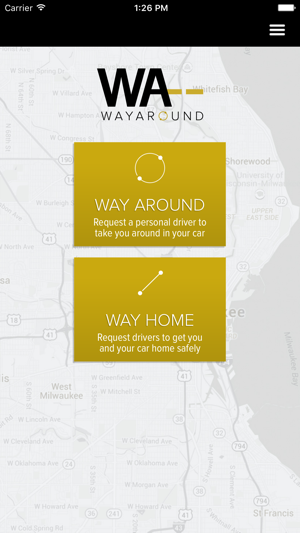 Way Home – The reliable one way service that gets both you and your personal car home safely. With friendly, professional, and skilled driver teams of two – you can get home worry free. Whether you’re on the road for work, heading to the big game, or looking for a safe and convenient ride home after a night out, Way Around can accommodate. You can relax in the comfort of your car without having to deal with the headaches associated with driving. Using Way Around is simple! • CHOOSE YOUR SERVICE: Download the app, sign up, and request your first ride. 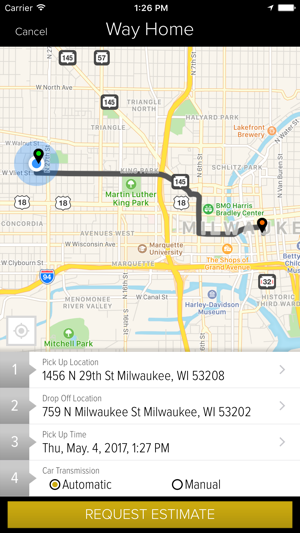 Tap on “Way Around” for a round trip or “Way Home” for a one way ride. 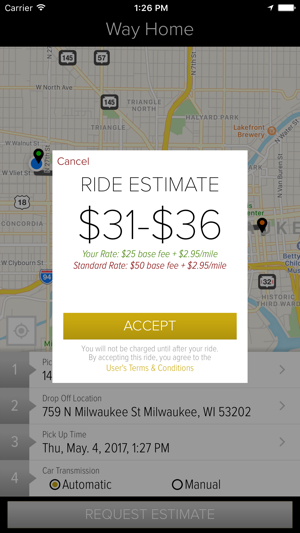 • GET MATCHED WITH A DRIVER: Enter the details of your ride, request a pick-up, and relax. Your driver will notify you upon arrival. • TOSS US YOUR KEYS: Leave the driving to us. What you do in your backseat is your business, not ours! Enjoy your freedom. Be driven where you want, when you want, in the comfort of your own car. Incredible. Never have to leave my car behind again!